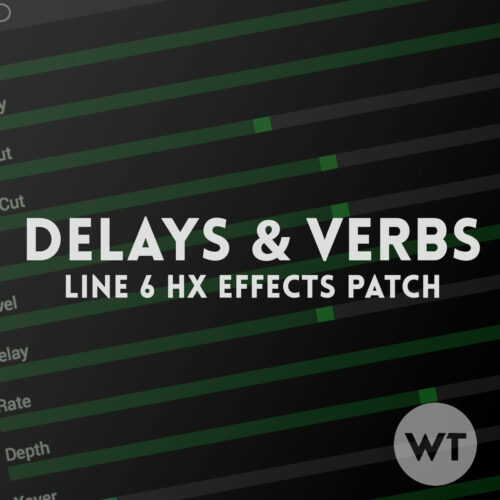 This patch gives you 3 delays, two ambient verbs (with another verb always on), and a swells button. 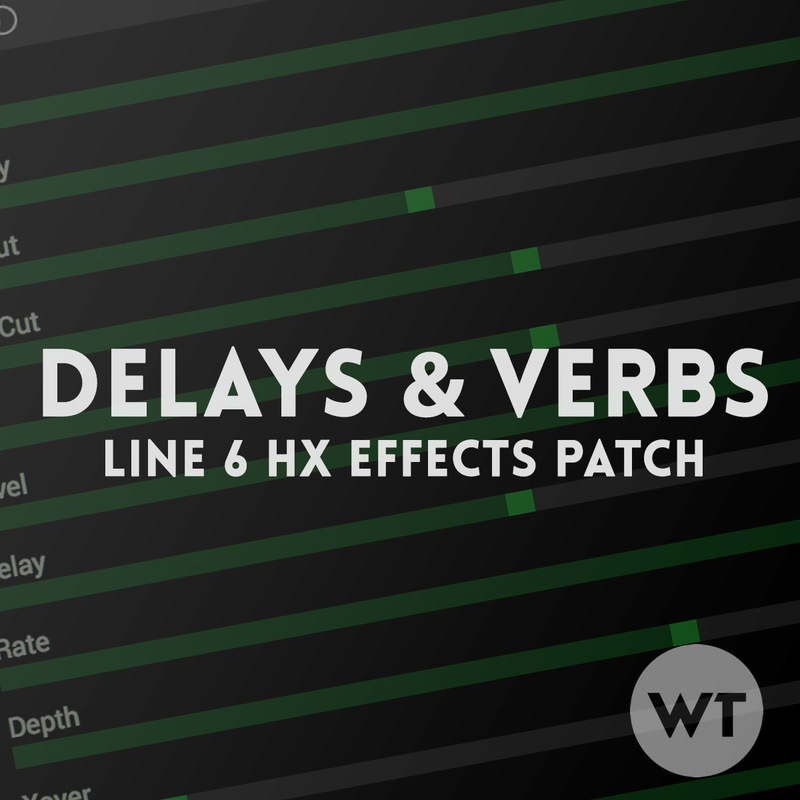 Delays: The two ¼ note delays are on a separate path from the dotted 8thnote delay. This means they are in parallel, not series. It creates more of a rhythmic delay sound rather than a wash. We also added a 2ndquarter note delay (the Adriatic Delay) to give you a different option as the Adriatic delay has a lot of character. We really love it. All delays are sync’d to the tap tempo. Verbs: There are two verbs at your feet – Glitz and Ganymede. These are both bigger modulated/ambient reverbs. The Hall verb acts as an ‘always on’ kind of verb – it’s subtle and gives you a sense of space, or the feeling like your amp is in a room. Swells: The swells button engages the Cosmos Echo and Searchlights Verb. This engages a huge ambient wash – it’s set up for volume swells and works perfectly in that application.